By the Power of Grayskull! 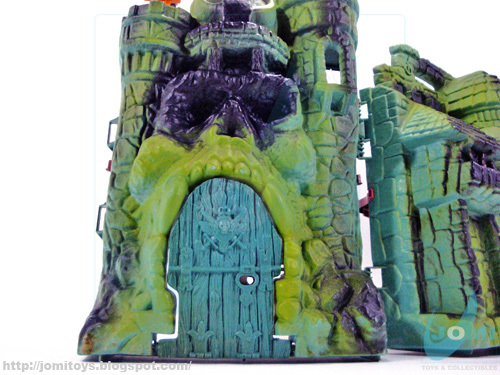 Castle Grayskull is one of the most popular toys ever. 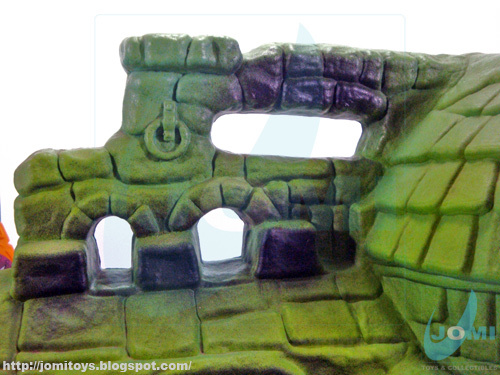 A great playset, great sculpting... in a word, legendary! 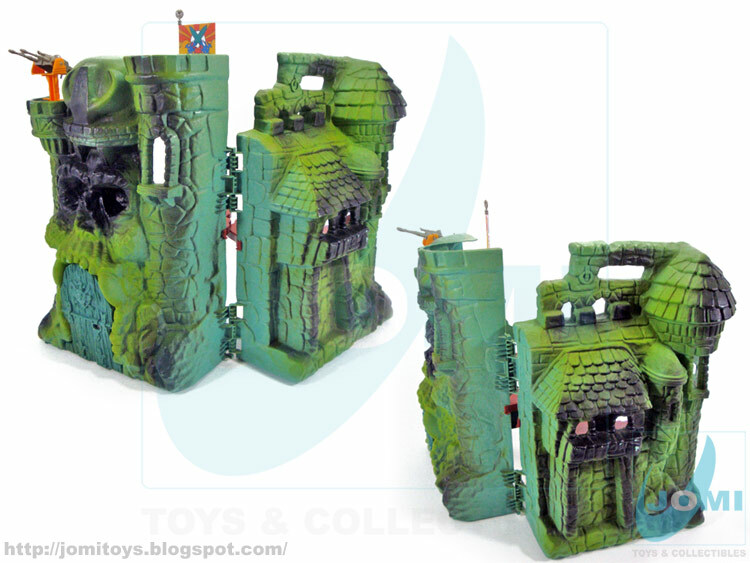 One of the best known images of "He-Man" franchise is Grayskull´s gate. Center stage of many comic and cartoon plots, and a definite core of fans brightest play stories! 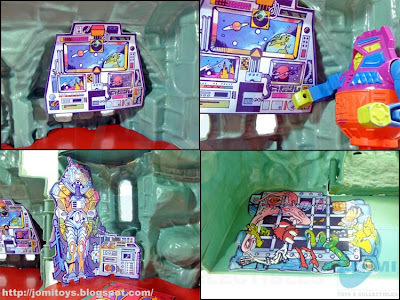 This fantastic playset was released in 1981 and with its 30 years of age, with its colors and lines still looks amazing. 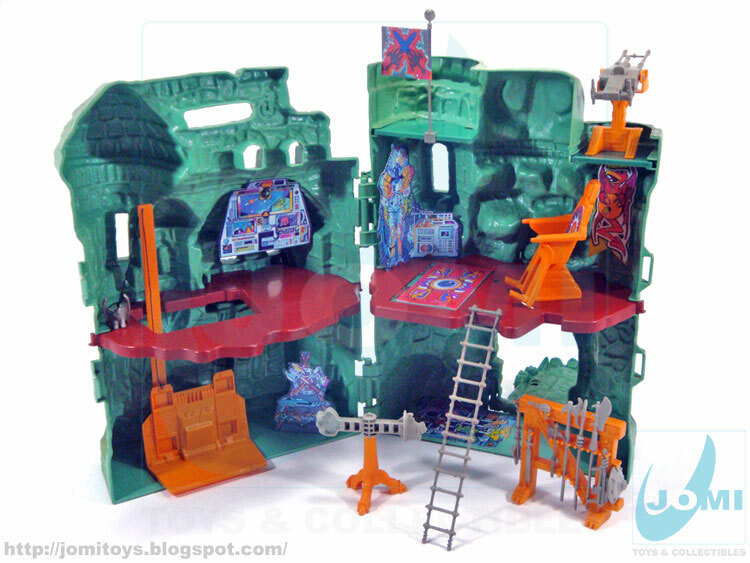 On the flipside it´s a huge world of fun with traps, weapons, moving parts and surprises! 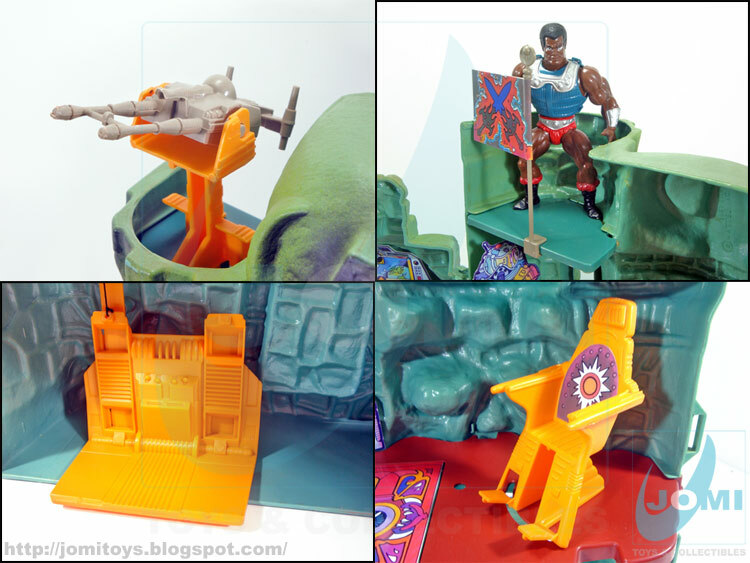 Even came with a "combat trainer" accessory to keep your Heroic Warriors busy while Skeletor´s away. Included accessories. Weapons and weapons rack, trainer, ladder and a cutout. The castle can have various forms due to the existence of 2 hinges. The exterior details makes this Eternian fortress a serious case study of toy brilliance. "Store and Carry". One just had to pick it up and take it to a friend´s home. It was a big case for a 6yo. But I remember taking mine all those years ago and with a smile on my face. Laser Cannon turret, flag post, working elevator and throne images. Lots of great points that showcase a great set! By the time I sold mine, I had easily lost all the cardboard parts, the small pistol, and the battle trainer. Makes me wonder where they all ended up! This was quite a fun set, now I miss it after seeing the pictures. Well, you have to think those parts went to someone who takes good care of them:) As your Castle! 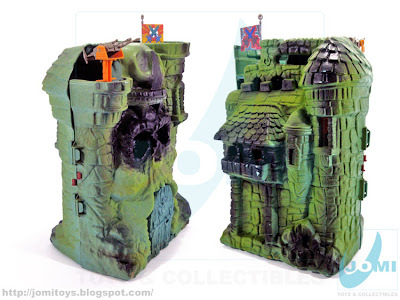 I have another castle with slight differences and extra parts (such as the battle trainer - so somehow, somewhere, there´s another castle missing that!). Thank you for your thoughts and visits! 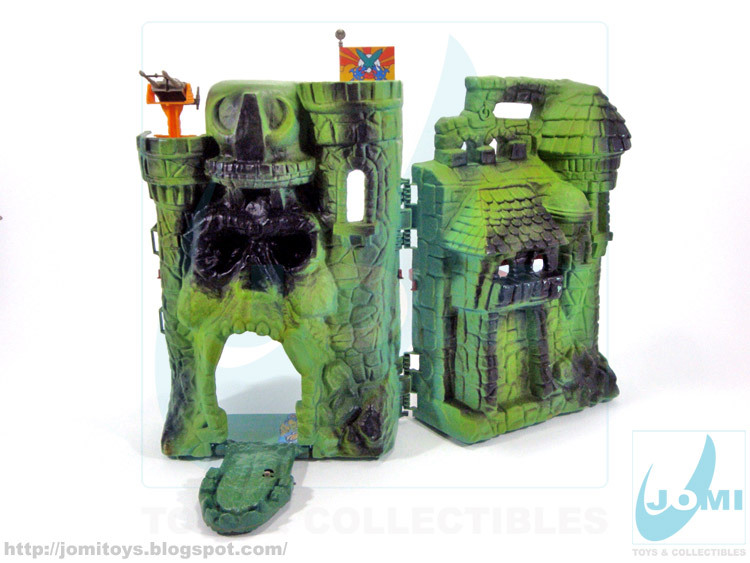 Ah, castle Greyskull. Getting it complete can be a toughie, but there are about a hundred of those incomplete husks on Ebay at any given day. That's because you could throw the thing down the stairs and it'd still be in one piece! It's basically indestructible! Indeed, Ghouldrool! 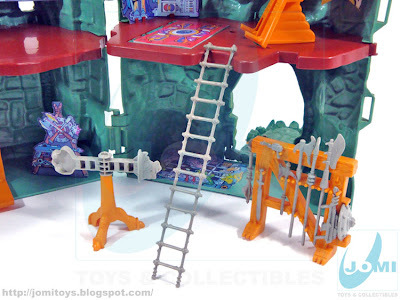 And plus, it can be used with 1:18 figures!!! Probably even better scaled to those figures!